A 2015 study by the Pew Research Center suggests that Instagram is the second most popular social media platform for teens, especially girls. Are your kids using Instagram? If so, do you know how to keep them safe? Founded in 2010 and later acquired by Facebook, Instagram is a mobile social sharing platform focused on showcasing pictures and video. Users take or upload a picture (or video), edit it using a variety of tools and filters, add a caption, and then post it. Other users can “like” a photo, leave a comment, or share it privately with friends. While some use Instagram to keep an image log of their daily lives, others create curated collections of pictures around a theme, such as travel, fashion, or food. Instagram has a minimum user age of 13 (in compliance with the COPPA, the Children’s Online Privacy Protection Act). They have been known to delete accounts that are clearly in violation of the rule. Much like other social platforms, one of biggest concerns with Instagram is what kids are sharing and what it reveals about their lives. Are they posting pictures in a school sweatshirt? Your famous Christmas display in front of your home? Family vacation photos in Bermuda? All of these serve as clues to where they live and when your family is – or is not - at home. The default setting on Instagram is that posts are visible to the public. While many kids know better than to share personally identifiable information, that doesn’t always prevent them from posting inappropriate content. The social currency on Instagram is followers, comments, and hearts (likes), and some kids are willing to go to great lengths to build up a following. Sharing suggestive and shocking photos are one way to pile on the followers, but kids should be reminded that once they post something, they can’t take it back. Even those with private accounts could see their pictures shared in a public forum. Make sure they know that this also applies to pictures sent via Instagram Direct, the private messaging portion of the app. Even if your kids have a strong grasp on what to share, you still have other Instagram users to contend with. There are images out there that aren’t exactly kid-friendly, but the bigger challenge is that the platform often reflects real-world teen strife. Whether it’s making sure another child knows that they have been excluded from a social gathering, sending harassing messages, or posting mean comments on each other’s images, you can be sure that whatever mean behavior exists offline will appear on Instagram as well. With all that in mind, what can you do to help your kids have a safe and positive Instagram experience? Wait – Wait until your kids reach 13 to sign them up. It’s the law, but it’s also safer for them. Hide it– Set your child’s account to private so their pictures are only available to their friends. Encourage them to limit their list to people they have met in person. Remind them that it’s easy to pretend to be someone else online. Go stealth – Turn off geotagging on the camera in your child’s device. While it can be fun to see a trail of where you have been, it’s not worth the loss of privacy, especially for kids. Remind kids that tagging their images with a specific venue on Instagram also reveals their location. Educate - Talk with your child about not sharing personally identifiable information, such as their name, address, school, and after school locations. Help them understand that pictures can give away just as much information as words. This is less of an issue if kids are only connecting with real-world friends, but it’s still a good habit to get into. Monitor - Keep your child’s username and password and check their account, including private pics and messages, on a regular, but unpredictable basis. Be open about it. Let them know that you trust them, but that you still need to make sure they are staying safe. Set expectations - If you have not yet set expectations for your kids in terms of their Internet usage, take some time to work out a plan together. Talk about any concerns you may have and find out if they have any as well. Teach – Show your kids how to remove tags from photos and how to turn off the Photo Mapping feature. Make sure they also know how to report users who may be posting inappropriate or harassing images or comments. Model – If you have an Instagram account, make sure you’re following similar safety guidelines in terms of what you’re sharing. 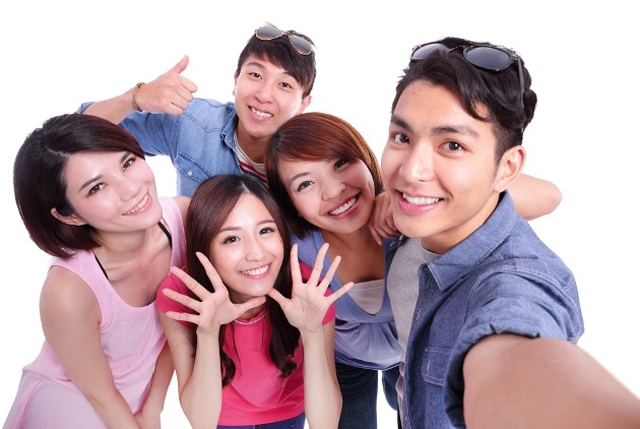 Instagram can be a fun way for teens to express themselves and connect with their friends. With some basic guidelines in place, you can help make it an experience that they enjoy, rather than one they learn to regret.